Well done to Andrew, Graham and John, who sailed Andrew’s SeaRaider, “Craic”, to overall victory in this year’s Sail Caledonia. 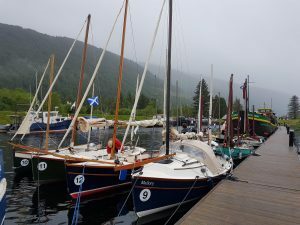 It was another fantastic week with generally good weather as the boats sailed and rowed from Fort William to Inverness along the Caledonian Canal and the Great Glen’s lochs. There were 4 Swallows entered – in addition to Craic there was a BayRaider 20 (Augusta Thomasina), a Storm 17 (Peewit) and a BayRaider Expedition (Mallory). Craic dominated the Swallow class but had stiff competition from “Jack”, a Swampsott Dory, in the overall competition. Jack is a great alrounder but Craic’s superior sailing ability combined with Andrew and his crew’s excellent sailing gave them the advantage when the wind blew. Full results and photo galleries will be available on the Sail Caledonia website shortly. 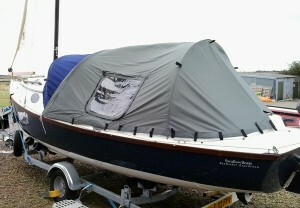 Swallow Boats has just launched a new cockpit tent for the BayRaider Expedition. See below for a description and photos. There is a side door each side, with a window and curtain. Swallow Boats are confident there will be good ventilation because the bottom of the tent does not meet the deck exactly yet there is a generous overlap with the coaming, so no rain should get in. 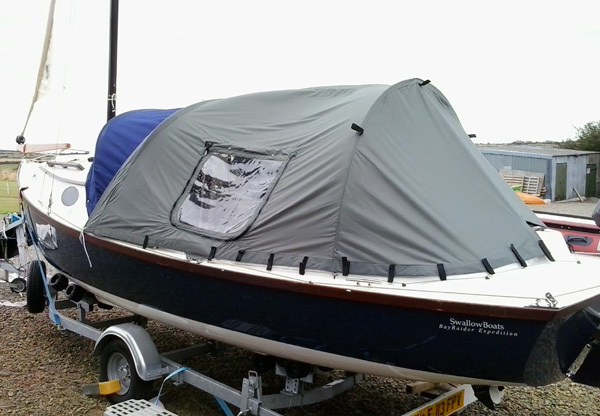 The tent extends back from the aft end of the sprayhood and attaches to a 4mm rope spread round the outside of the coaming, on the deck, and pulled very tight. This rope is left permanently in place and the bottom of the tent has velcro tabs which loop around this. This makes it very quick and easy to assemble because even in a strong wind the velcro will stay put during assembly, when bungee loops can come un-hooked. The tent is supported by a lightweight flexible pole that attaches to two deck clip fittings screwed to the outside of the coaming. 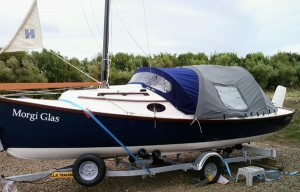 Swallow Boats have made the BBC news after announcing an expansion to their business. This will include the creation of 10 new jobs and a £200,000 investment in a new workshop which will allow more more on-site boat building rather than using overseas suppliers. There have been lots of small changes made to the web site over the past few weeks. These are mostly aimed at making it easier to find content – especially new content – and use the website in general. In particular, the search function (using the menu bar’s search box) has been updated so that it now searches the forum as well as the website. Previously it didn’t include the forum. Note that the search link on the forum is still specific to the forum. The full list of changes is included below. Please add a comment to this post or start a forum topic if you find any issues with the site. Search updated to include the forum in addition to the web site. Menu search box no longer causes the other menu items to wrap to a second line so early. The search box now expands when used so that it can be smaller (and consume less menu space) when not in use. Top admin menu removed and all functions moved to main menu. The summary of recent posts/pages on the home page now includes post excerpts. The summary of recent forum posts on the home page now includes post excerpts. Login/logout link added to menu. Margins & white space reduced on the home page to allow more content to be included. Logging in through the homepage now keeps users logged in for 24 hours rather than previous default of 1. Pages can be assigned to the Library as well as a menu if they are assigned to the “Library” category. Previously, a page only appeared in the Library if it wasn’t accessible via a menu. Now a page is in the Library if it isn’t assigned to a menu or the page has the “Library” category. 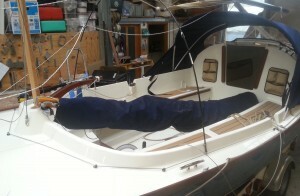 A boat register has been added to the web site. Owners can add their boat details such that we build up a register of the many boats SwallowBoats have built and we can record the details of each boat along with it’s owner and location, etc. The register can be accessed via the following link: SwallowBoats Register. 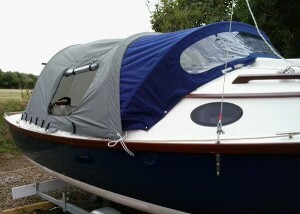 Take a look and if you’re an owner then please add your details. 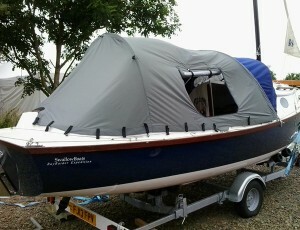 Swallow Boats launched their new web site yesterday and it looks very good. The site address remains unchanged – http://www.swallowboats.com. It took a while, but the Swallow Boats forum has finally moved to this new site. The forum was upgraded as part of the move so that should bring some improvements too. Of course, things rarely run to plan and, despite this move having been practiced twice before this “live” run, we found a data issue after the move that meant about 200 posts were truncated. However, problem fixed and the data re-imported and I think the forum has now been successfully moved and upgraded without any data loss. But if you see anything wrong with the forum or the web site or have any suggestions then please post a topic on the forum. If you can’t logon to the forum after the upgrade then read the topmost post on the General Discussion board and that should help you fix the problem. I hope you like the new forum and web site! 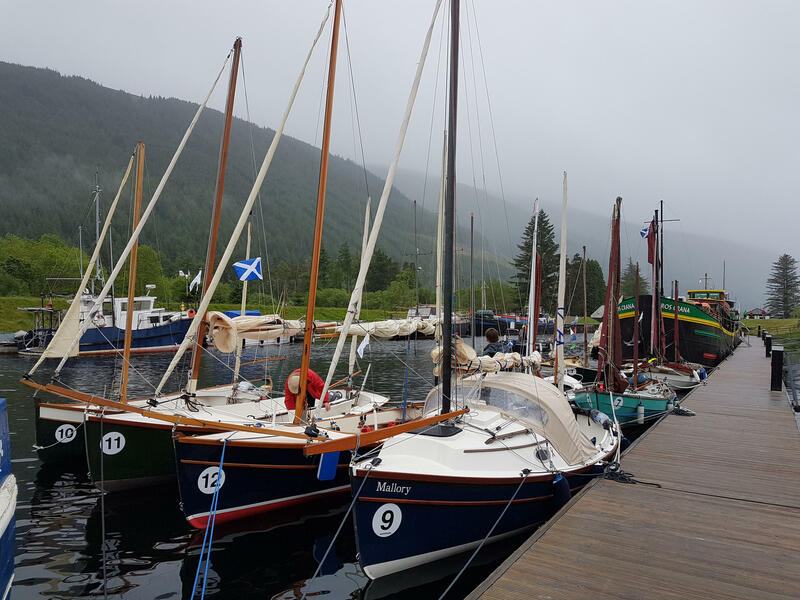 Classic raid from Fort William to Inverness, from sea to sea. Probably now fully booked but contact the organisers and try your luck. To view the programme and costs click on the Programme 2019 link. To register your interest in attending please click on the Register 2019 link.